Want to learn how to cook perfect pan-seared salmon every time? Try my easy recipe for Orange Seared Salmon. All you need is 15 minutes and a few ingredients. More easy, light and fresh recipes for the New Year! 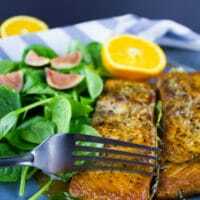 This Garlic Orange Seared Salmon recipe is one I whip up even when I’m on vacation and away from my kitchen. It’s that simple. It’s that flavorful. And that delicious! 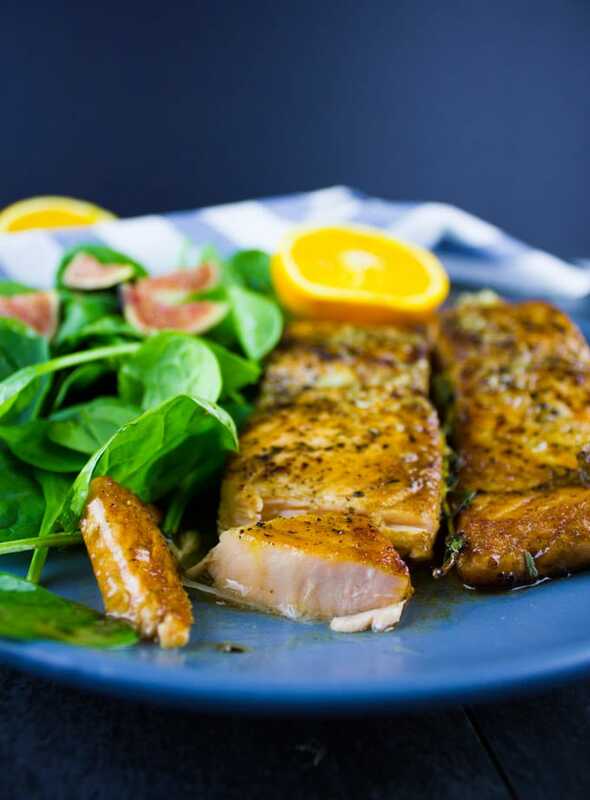 All you need for this orange seared salmon are a few ingredients, a skillet and 15 minutes. You’ll be quite surprised how easy it is to cook succulent salmon on the stove top—so grab your garlic, oranges, salmon and let’s do this! Since I have little ones, I never go on vacation unless I know I’m staying at a place where I have a full kitchen, washer/dryer, etc. Because you know what, I’m on vacation to have fun and not to struggle with them being uncomfortable. So that’s why it’s not totally unusual for me to cook while I’m away. 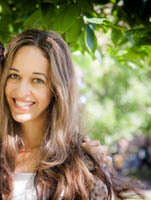 It may be totally crazy, I agree (in case you’re thinking otherwise), but not unusual. 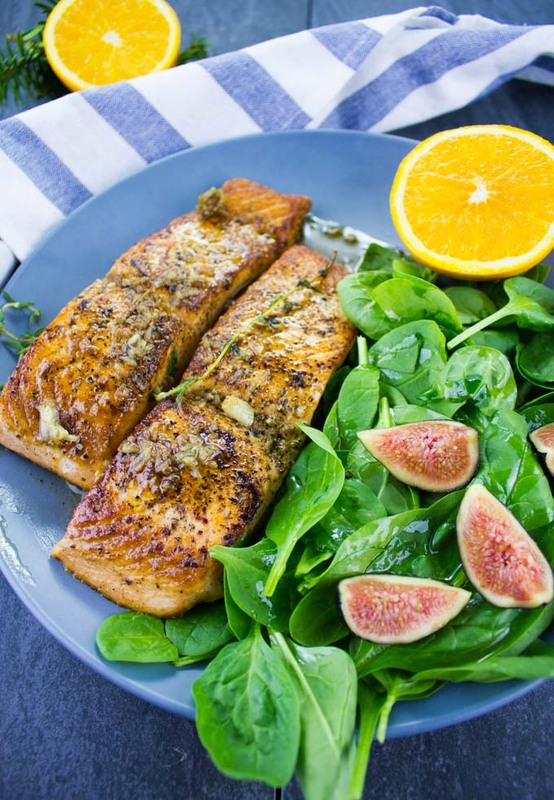 Here’s the deal with seared salmon, it’s deliciously succulent and you have so much control over how you prefer your salmon to be cooked. Some prefer a touch of pink on the inside, while others prefer a full totally cooked through fillet. Either way, it’s in your hands. One of my very first recipes on the blog was this Seared Salmon with Blue Cheese recipe and it was a HIT. As unusual as that combination sounds, it’s OH SO GOOD!! First of all, you’ll season the salmon (salt, pepper basically, and maybe a touch of brown sugar if you prefer) and sear the salmon in a hot skillet with olive oil. After searing the salmon fillets for 2-3 minutes, you’ll flip them and add in the garlic and fresh thyme. Sauté them around the salmon. Squeeze some orange juice, cover the skillet and let the garlic-orange seared salmon cook to the level you prefer. 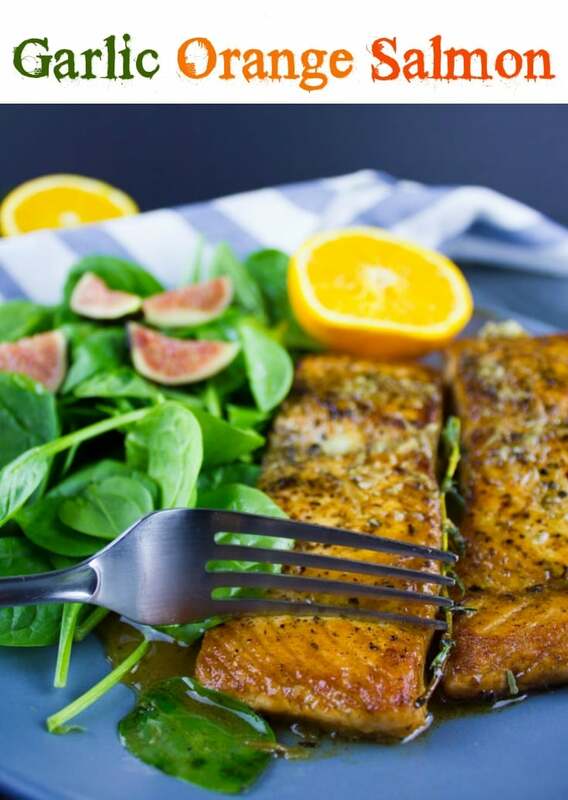 Once your seared salmon is ready, serve over a salad dressed with an amazing bright orange dressing ( I used the same one I did with these easy Winter Goodness Bowls). Finally, squeeze an extra bit of fresh orange juice right over the salmon and enjoy!! 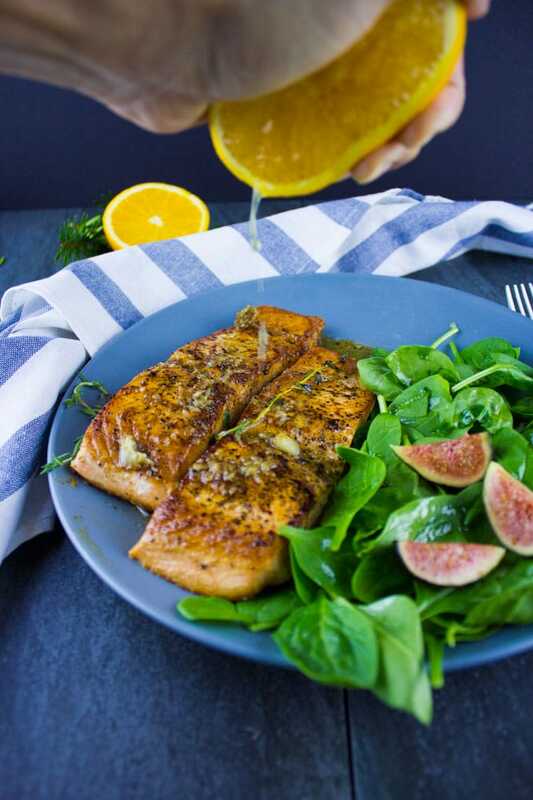 Easy delicious dinner dreams are made of this orange seared salmon!! Make sure your pan is well preheated before adding the fish fillets. Cook the salmon for 3 minutes per side for medium, longer if you want it cooked through all the way. Cooking times depend on the thickness of your salmon fillets. When fillet turns a light pink color about 1/2 of the way through, flip it. If your salmon is sticking to the pan, let it fry for another minute. Want to learn how to cook perfect pan-seared salmon every time? 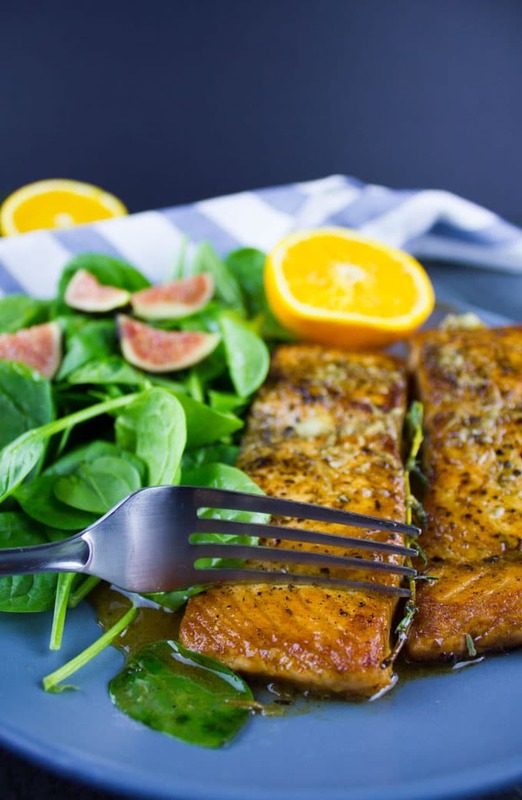 Try my easy recipe for Orange Seared Salmon. All you need in 15 minutes and a few ingredients. Preheat a skillet with olive oil over medium-high heat. Season the salmon with salt, pepper and brown sugar evenly on both sides. Sear the salmon when the skillet is hot, for about 2-3 minutes. Right before flipping the salmon, add in the garlic and thyme. Flip the salmon fillets and sauté the garlic for a minute around the salmon fillets. Add in the orange juice, drop the heat to medium and cover the skillet for 5-7 minutes—depending on how well done you prefer your salmon fillets to be. 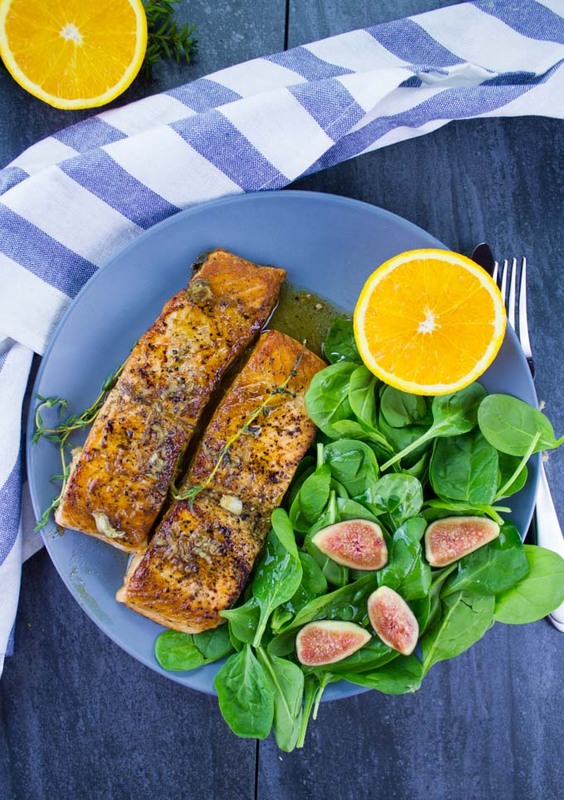 Serve the orange seared salmon with a side salad and orange dressing. This was amazing. And it really was only 15 minutes, so fast and easy. The garlic with the orange is so so good. Thank you! I love garlic and orange and cooking salmon in the pan gives the most wonderful crust that is packed with flavor! I also love the brown sugar notes.